Is This Ska Album Cover Banksy's Earliest Work? Notorious street artist Banksy has spent decades capturing the imagination of everyone from the art world to Ja Rule. And while we may never know the artist’s true identity, a newly surfaced ska album cover has entered the conversation. Though some have speculated that Banksy is a member of Massive Attack, a longer running theory is that the art moniker belongs to Robin Gunningham. An album cover for the Bristol ska band Mother Samosa has surfaced in an online auction, and it’s the first public artwork credited to Gunningham. Further, the cassette art bears some similarity to the work of Banksy. 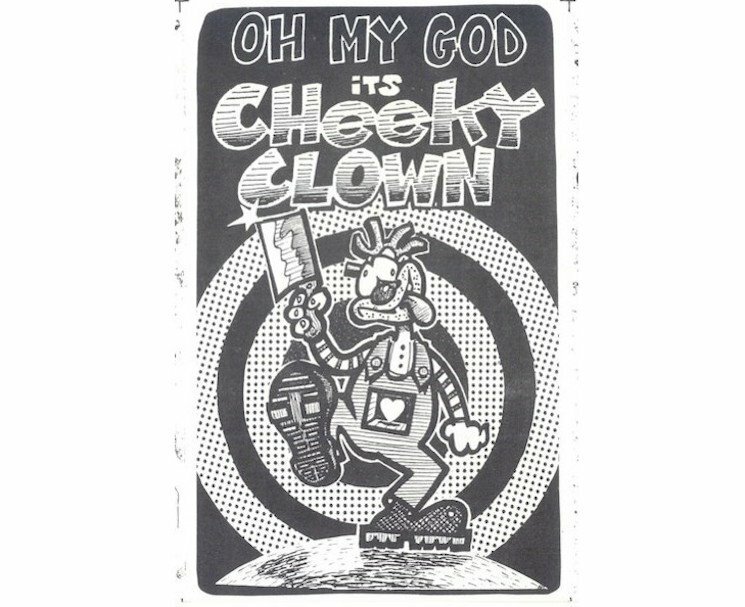 The album, which is called Oh My God It’s Cheeky Clown, features plenty of stark imagery that pairs playful humour with social commentary. The piece is currently valued at around £4,000 (or $6,800). If you feel like buying it, you can drop some cash here.